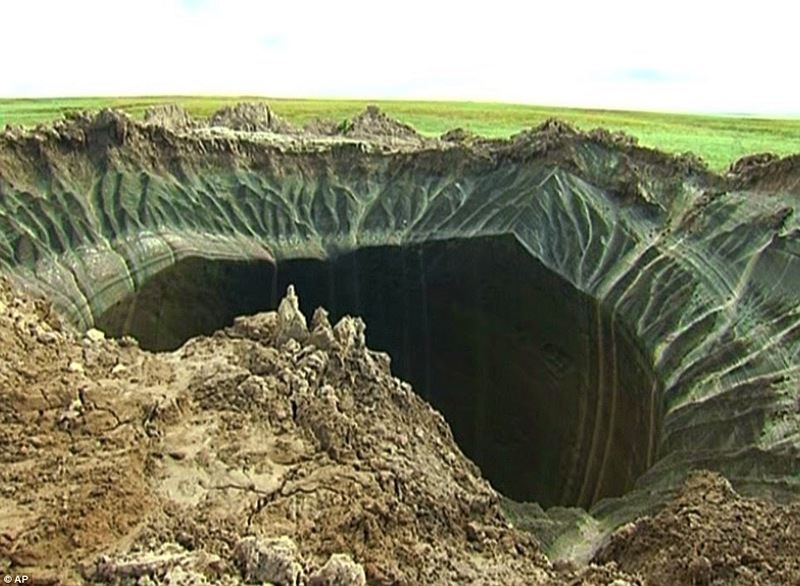 Footage has emerged from deep inside the mysterious crater that has suddenly appeared in Siberia. 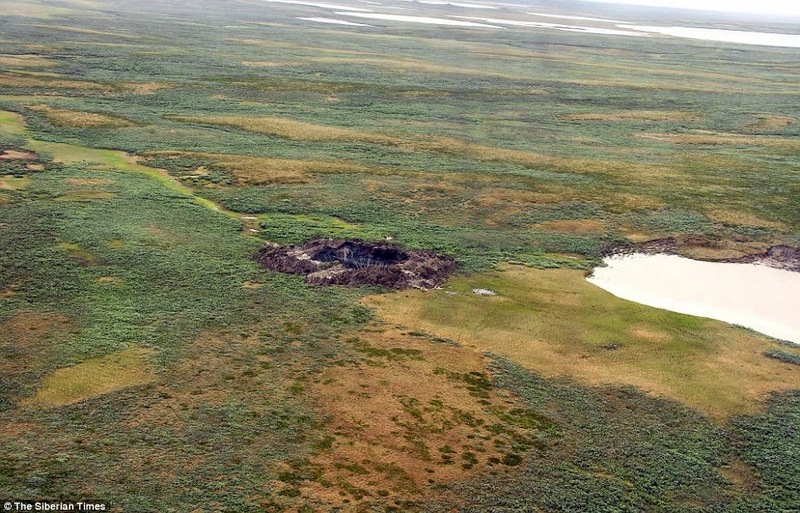 The crater on the Yamal Peninsula - known as the 'end of the world' to locals - was caused by aliens, a meteorite, a stray missile, or an explosive gas cocktail released due to global warming, according to theories last week. 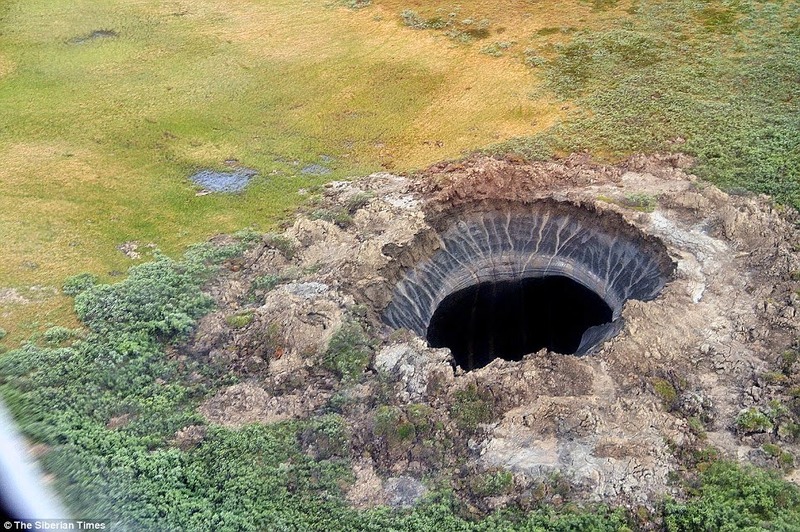 Russian scientists recently returned from the first expedition to look inside the giant hole which was previously spotted by helicopter. 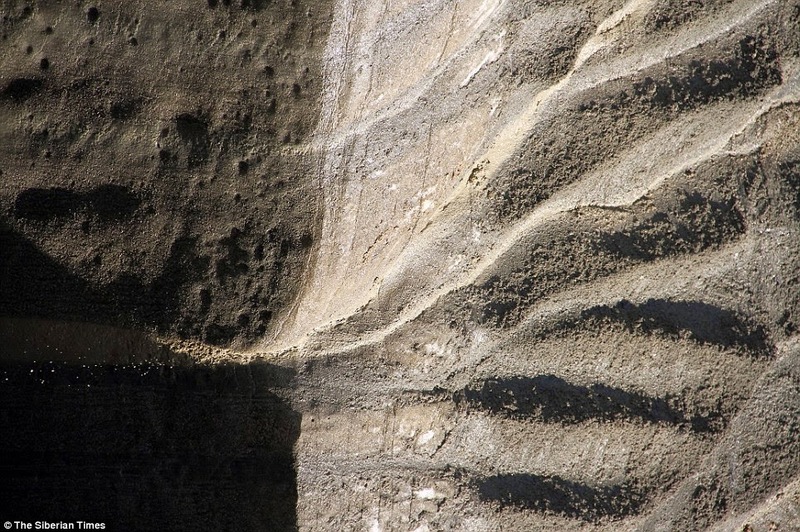 Their footage highlights a darkening around the rim which was earlier seen as evidence of heat possibly from an explosion during the crater's creation. 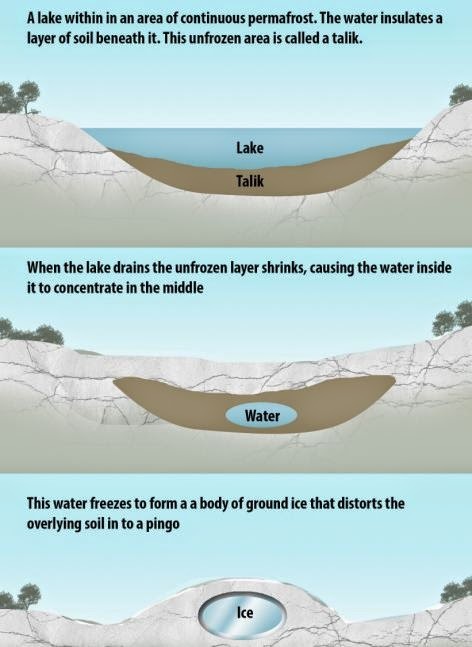 'They found the crater - around up to 300ft (70 metres) deep - has an icy lake at its bottom, and water is cascading down its eroding permafrost walls,' said The Siberian Times. 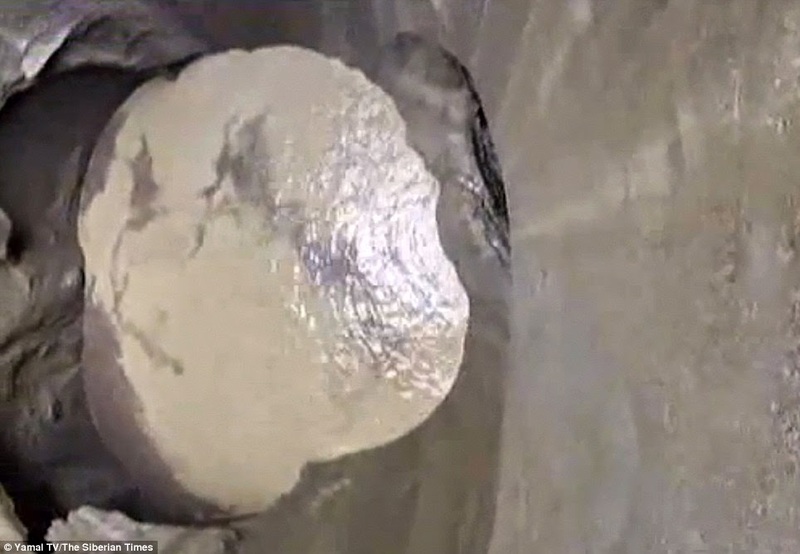 'The crater has more of an oval than a circular shape, it makes it harder to calculate the exact diameter,' he said. 'As of now our estimates is about 98ft (30 metres). 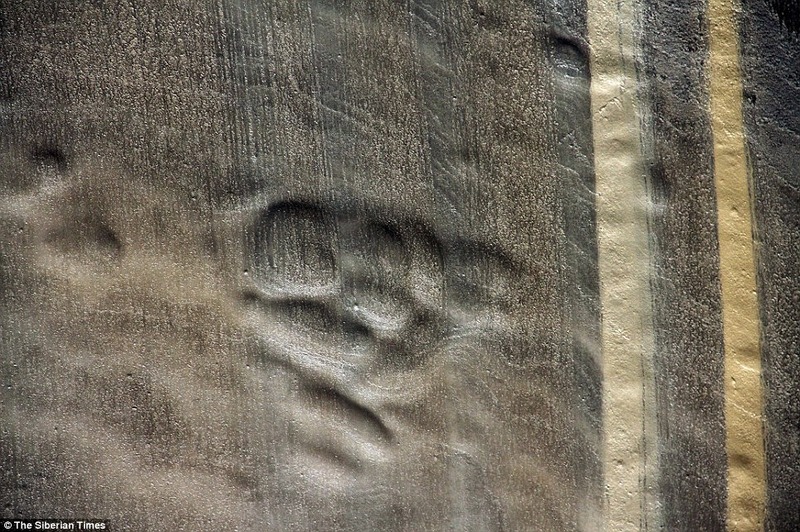 If we try to measure diameter together with soil emission, the so-called parapet, then the diameter is up to 197ft (60 metres). 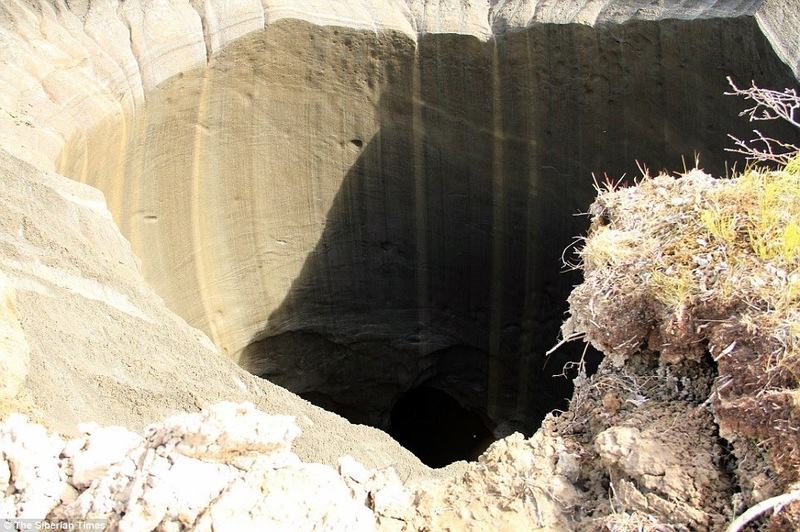 Dr Plekhanov added the hole was most likely the result of a 'build-up of excessive pressure' underground, due to the region's changing temperatures. 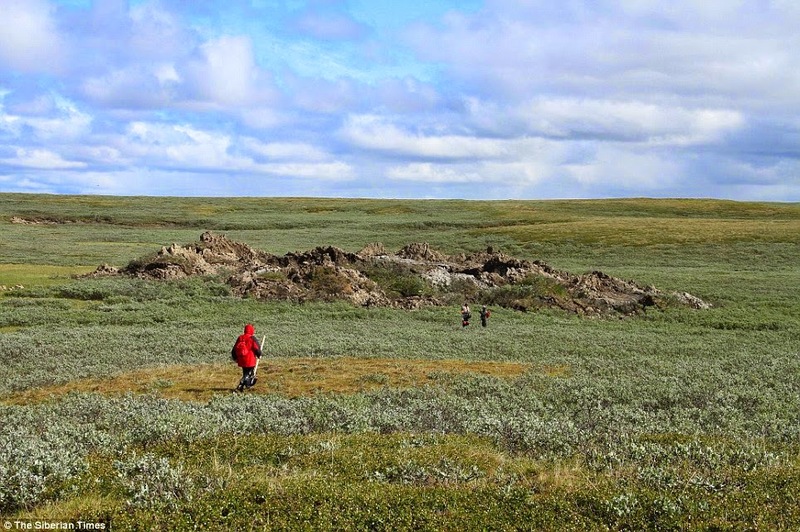 He said 80 per cent of the crater appeared to be made up of ice and that there were no traces of an explosion. research to answer this question,' said Dr Plekhanov. 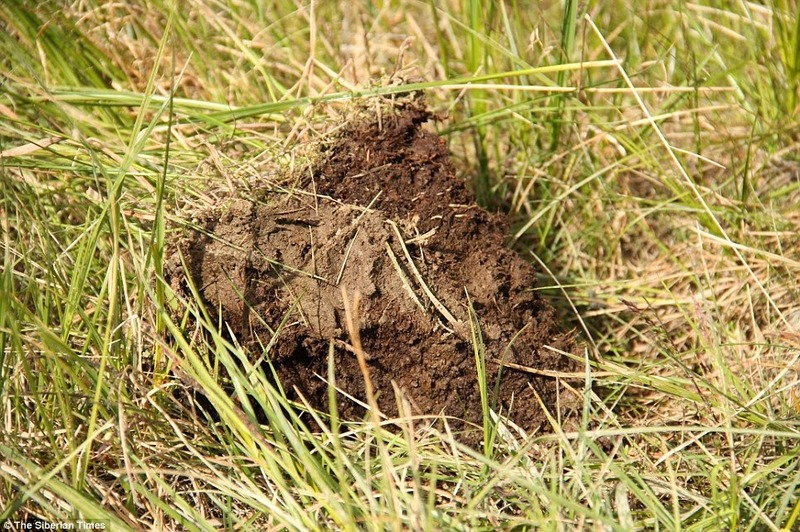 After the hole was discovered, there was speculation online about the crater indicating 'the arrival of a UFO craft'. 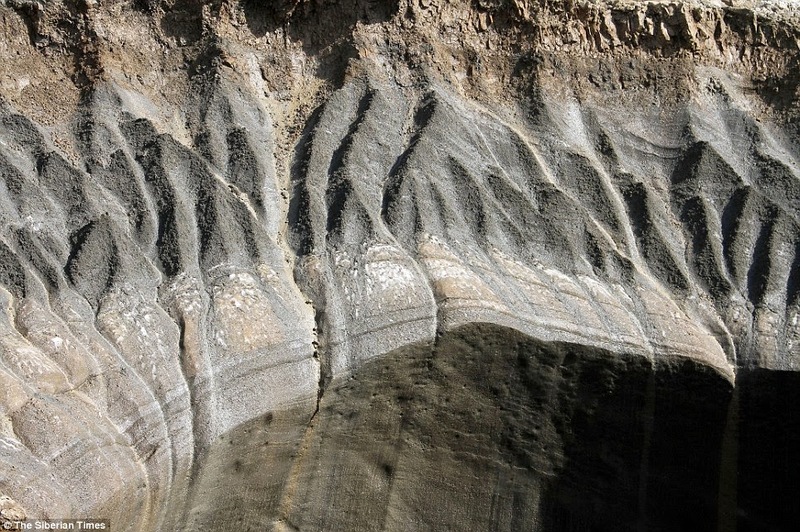 Ruling out extra-terrestrial intervention, Dr Plekhanov said: 'We can say for sure that under the influence of internal processes there was an ejection in the permafrost. 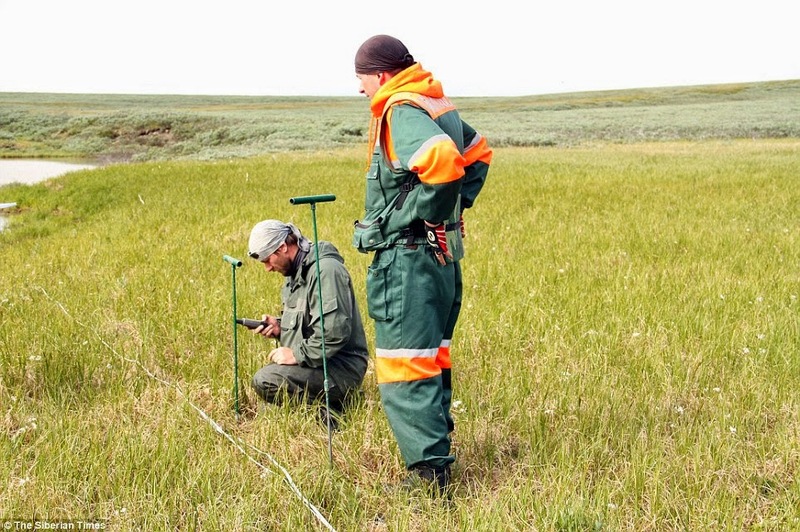 The latest expedition organised by the Yamal authorities included experts from Russia's Centre for the Study of the Arctic, and also the Cryosphere Institute of the Academy of Sciences. 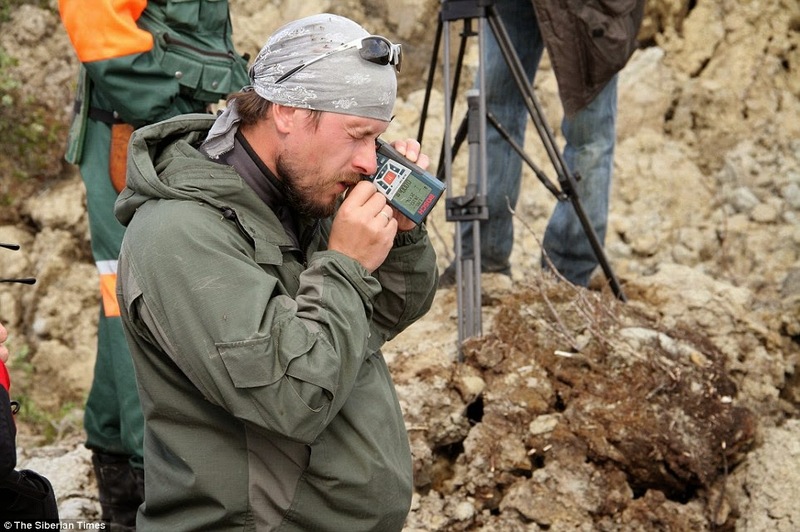 They took samples of soil, air and water from the scene and were accompanied by a specialist from Russia's Emergencies Ministry. 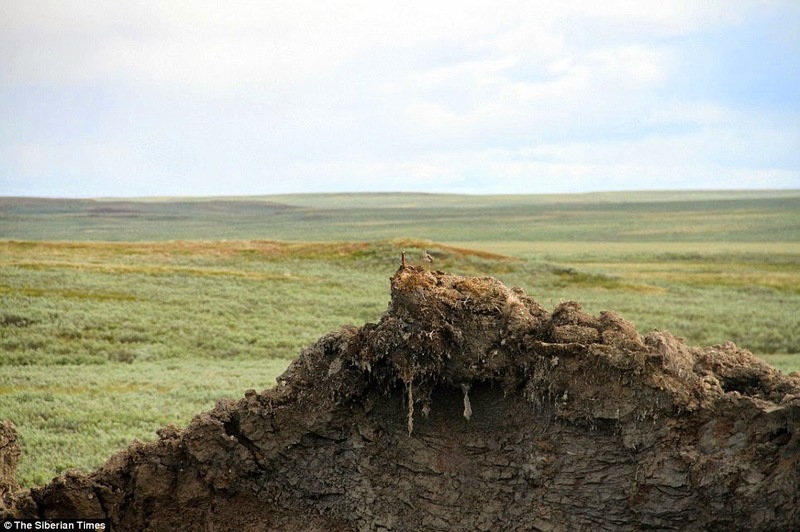 Global warming may have caused an 'alarming' melt in the under-soil ice, released gas and causing an effect like the popping of a Champagne bottle cork, Ms Kurchatova suggests. This maybe 'repeating nowadays', he said. 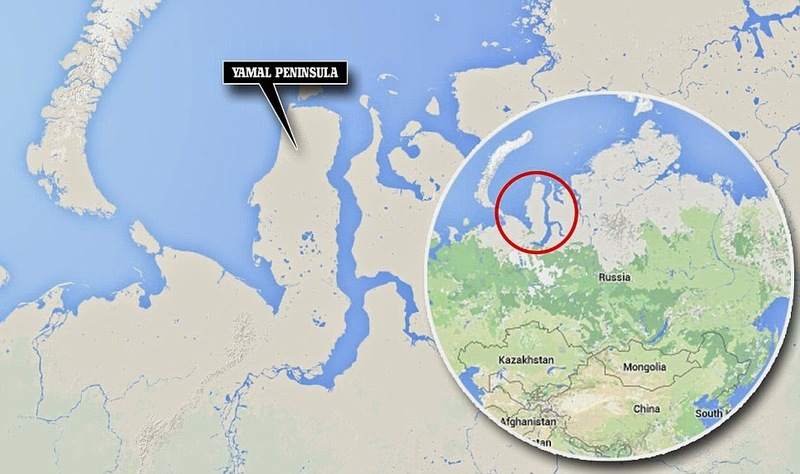 'If this theory is confirmed, we can say that we have witnessed a unique natural process that formed the unusual landscape of Yamal peninsula.